“The first pancake is always lumpy,” a high-ranking official from the Ministry of Infrastructure said, not hiding his skeptical attitude to the contents of the National Transport Strategy concept. However, Ashraf Hamed, the head of the project for preparation of the transport strategy, had the opposite view. "Look at the tables and how much there is to eat," he said, pointing to the tables that were set out in the buffet area on the third floor of the Ukrainian House, where he was hosting a public discussion on the National Transport Strategy. However, the public expected a somewhat different type of food. 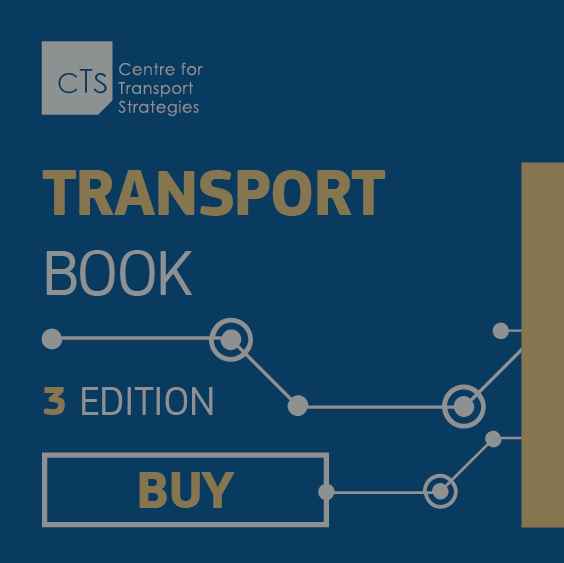 Senior managers of transport companies, representatives of international investors, and experts expected to hear substantive answers to the questions that should shape the development of their businesses and the industry over the next few years. How can transportation revive the Ukrainian economy and strengthen its competitive advantages? Where should they invest? What model should be chosen for financing infrastructure projects? How can the transit cargo flows that Ukraine lost be recovered? This is just a small list of such questions. For now, these questions remain unanswered. Instead, industry participants presented a beautifully packaged set of objectives, priorities, and principles without offering specifics, implementation mechanisms, and timeframes. In particular, they highlighted five priorities of the National Transport Strategy: efficient state management of the transport sector, provision of quality transport services, ensuring steady financing of the transport sector, improving transport safety and reliability, improved urban mobility, and regional integration of Ukraine. They should be based on three things: the strategic goals of national development, the key challenges and diagnosis of the transport sector, and the strategic objectives of European integration. The plan for implementation of the 2020 Strategy provides for focusing efforts on finding optimal solutions to transport and not infrastructure problems. First Deputy Minister of Infrastructure Yevhen Kravtsov said that the vision that was presented was not the strategy itself and that it was only a presentation of its main trends and postulates. "We must first focus on the aspects that are related to the impact of transport on development of the economy, internal logistics, and transit. Those postulates that are spoken about in the Dornier are, of course, also important aspects and we are ready to discuss many of them. Right now, we are not at the final stage. The idea of this event was to present those areas of development that we are taking as the basis for the strategy... Maybe they are wrong, maybe what I am telling you and what consultants are saying is not quite the right view and we will need to adjust the direction," Kravtsov said. The Ministry of Infrastructure would like hear feedback from the market after the presentation. "We still have a lot of time ahead. We plan to present the results of the work on the strategy in the first quarter of 2017. That is, we have a time allowance during which we can correct something," Kravtsov said. Regarding specific issues, the presentation of the strategy included a section dedicated to strategic planning of transport development. In particular, on the issue of investment, it was stated that it was necessary to give priority to involvement of private operators in transportation, as well as to seek opportunities for funding from international agencies. As for pricing, consultants stressed that cross-subsidization between freight and passenger transportation creates an imbalance on the commodity and transport markets and that the structure of port dues should be reconsidered from the viewpoint of actual costs. Transport security, combating corruption, environmental protection, and European integration were also mentioned in the strategy concept. The Nibulon company’s Director Oleksii Vadaturskyi said, "It would be nice if the Ministry of Infrastructure could implement this transport strategy. It sounds very nice, but there are no specifics in it." It is impossible to disagree with him. The strategy concept’s 39 pages offer no answer to the question. Everyone knows the list of the problems in the transport sector, but nobody has offered solutions. One would like to hear about these solutions, considering the EUR 3.74 million that the European Union allocated for preparation of the Ukrainian national transport strategy.